10 LISTS The World of Quentin TarantinoLists about the fast talking, foot shooting visionary behind Pulp Fiction, Kill Bill, Inglorious Basterds, and other bloody quotable favorite films. List Rules Vote for your favorite Quentin Tarantino character or performance, which doesn't have to be his best movie. Quentin Tarantino characters list, ranked from best to worst along with movie clips when available. These roles are ordered by the number of votes they receive, so only the greatest roles played by Quentin Tarantino are at the top of the list. List items range from Jimmie Dimmick to Mr. Brown. The ability to play any kind of role is what makes an actor or actress great, and the diversity of the characters listed below is a testament to that. This list includes both movie and TV performances, so you don't have to choose between one or the other. If you're asking yourself, "Who is the best Quentin Tarantino character?" or "What are the top Quentin Tarantino performances of all time?" then this list will help you out. 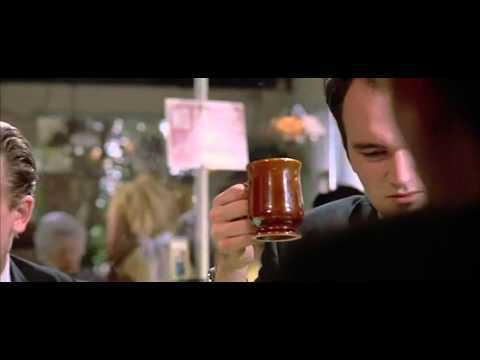 Do you think the best Quentin Tarantino performance isn't as high as it should be? Then vote it up so that it can be number one. You can also make your own version of this greatest Quentin Tarantino roles list by re-ranking it and putting it in your own order. List Rules: Vote for your favorite Quentin Tarantino character or performance, which doesn't have to be his best movie.